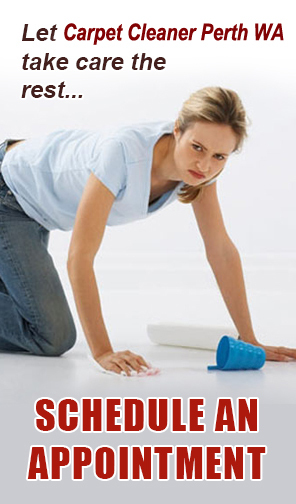 Carpet Cleaner Perth WA is one of the best carpet cleaning company in Perth. Our business is simple: provide the best carpet cleaning service to Western Australian with the most competitive price. Whether you are commercial or residential customer, we love your business and guarantee you absolute peace of mind. We provide end of lease carpet cleaning, end of tenancy carpet cleaning, vacate carpet cleaning and bond carpet cleaning services to many residential and commercial clients in Perth. Our reputation is built on quality of service and competitive price. Whether you are tenant moving out, new tenant moving in or property manager, Carpet Cleaner Perth WA is your numrber one choice. Our carpet cleaners are all fully trained cleaning professional who always work as our best to clean your house quickly and effectively with 100% client satisfaction. Simply, our service is more than carpet cleaning, we look after our customer’s and do the best we can to ensure a clean and safe environment with peace of mind. Carpet Cleaner Perth WA only use proven, harmless and best in class technology. Our Dry Fusion technology has been designed to maximise cleaning performance which doesn’t rely on any airflow. Dry Fusion has been developed for today’s carpets. It is the only carpet cleaning system that hot cleans, deodorises, stain protects then heat dries every type of carpet. It is virtually strain free and offer the most outstanding result in the industry. By taking all the best features of hot water extraction (hot solution, “Shot of Steam”), the best features of dry cleaning (low moisture, mechanical agitation) and combining them together with the patented hot cleaning pad system that constantly heats the fibres as they are being cleaned – you have some of the most outstanding results ever seen.For more details, please visit our Technology Page.